SWINGTING008 sees Swing Ting resident MC, singjay & self-proclaimed vibist Fox step out on his debut EP for the label. Taking influence from two places he's spent most of his life: Manchester, UK and Kingston, Jamaica, the talented, musik-loving vocalist offers up a stellar set showcasing his talent and versatility as an artist. At the heart of the release is a deep love of soundsystem culture which weaves its way through each tune, forming a representation of what Fox would toast and bubble to in a Swing Ting dance. Production is an all in-house affair provided by Florentino, Famous Eno, Murlo, Brackles, Puppy Disco, Samrai & Platt. 'Musik' begins with Fox setting the tone on 'Chaos' - an immersive, fittingly poignant opener, before 'Vacio' (featuring deejay Trigganom) drops into a lean, brooding dancehall-infused pattern, perfect for the pair to weave a web of lyrical fire. On 'Big Man Ting' Fox rolls with dark swagger over a raw, stripped riddim for the club headz and DJs alike! 'New Swing' features Fox on a conscious lilt over a sharp, bittersweet production proclaiming a potential for a more positive outlook amidst the austerity that currently clouds us. 'Downtown Uptown' continues the upfulness, itself a bona fide anthem at Swing Ting sessions, with its memorable string-line and playful hook serenading Fox's ability to cork the dance wherever he rolls. 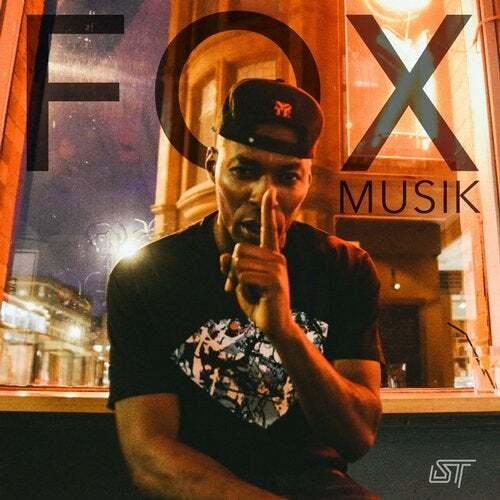 The EP closes with 'I Swear', a tune reminiscent of the diversity Fox would hear in a dance when growing up in Jamaica and an ode to his love of Musik and Soundsystem culture.